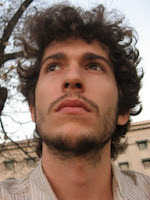 LUCAS VIRIATO was born in Rio de Janeiro in 1984 and has a Master's in Brazilian Literature. Since 2006, he has been acting as the editor of Plástico Bolha [Bubble Wrap] literary journal, which has featured hundreds of authors. In 2007 he published his first book of poetry, Memórias indianas [Memories from India], which narrates his trip to India. Retorno ao Oriente [Return to the Orient] completed his poetry project the following year. With Contos de Mary Blaigdfield, a mulher que não queria falar sobre o Kentucky [Mary Blaigdfield, The Woman Who Didn't Want to Talk About Kentucky, and Other Stories] he made his debut as a fiction writer in 2010. 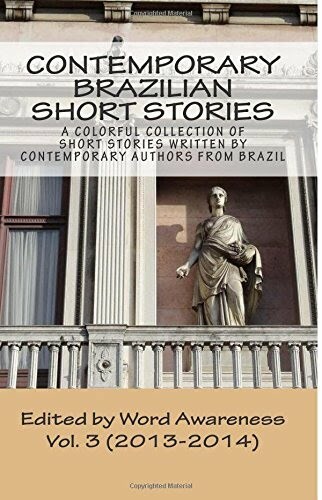 That same year, he also organized Antologia de prosa Plástico Bolha [“A Collection of Prose from Bubble Wrap”] with the best short stories published by the literary journal. In 2012 he published Curtos e Curtíssimos [Short and Very Short Ones], a collection of his main micropoems. He has also participated in several Brazilian and international poetry events and has just been awarded the Prêmio Agente Jovem de Cultura [Young Cultural Agent Award] by the Ministry of Culture in Brazil.